Organic food demand is so booming that multiple efforts are underway to support the acquisition of organic farmland. Even Cost-Co is getting in on the action by offering to help farmers buy land and farm equipment. People’s huge appetite for organics has been ignored by Big Ag for so long that land to grow food organically in the U.S. is rather scarce. Currently, organic farming acres make up less than one percent of total U.S. farmland. Instead of growing our own, we’re importing a bunch of organic corn, soy, and other products every year. This trend of people wanting organic products seems to be growing, too. 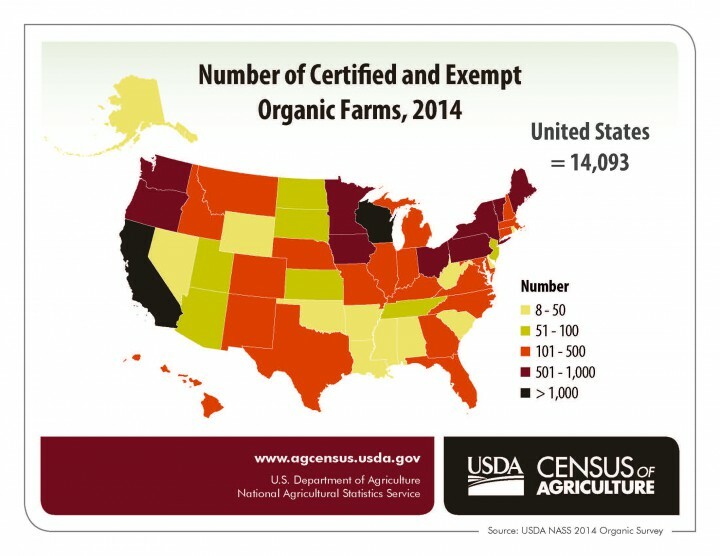 U.S. Department of Agriculture statistics show that in 2014, certified organic operations in the U.S. had reached an astonishing number of 19,474, while a total of 27,814 certified organic operations exist around the world. Other studies report that another 3,000 farms are transitioning to organic. The word is out – individuals everywhere are quickly switching to organic. Cost-Co’s CEO, Craig Jelinek, says that the way things are now, the company simply can’t keep up with the demand for organic food, which is why the company is offering to ‘help’ farmers. Though this bodes well for organics overall, it could put small family farms in the crosshairs of big business again, which hasn’t been an auspicious enterprise for organic farmers thus far. Other retailers are trying their own methods to keep up with organic product demand. They offer loan programs for suppliers to upgrade equipment or offer financial incentives such as advance payments or long-term contracts. But helping farmers buy land to grow organics, as Cost Co has, is unusual in the industry. Even General Mills is trying to get a piece of the organic product pie. General Mills recently announced that it will double its organic acreage with a goal of acquiring 250,000 acres by 2019. In the same year, the company plans to achieve $1 billion in sales from organic and natural products. General Mills is now the second largest purchaser of organic fruits and vegetables in North America. Ardent Mills is also expanding its organic acreage – with a plan to double its organic wheat acres in the U.S. from 260,000 to 520,000 by 2019. The tide hasn’t just turned for organic food lovers – It’s a whole new wave of opportunity. I am so happy to read this! Thank you for reporting this. Now, if the meat and dairy industry will get on board and stop feeding poultry, swine, cows and fish GM grains and hormones and quit over using antibiotics this will be a great help to humanity. Non-GMO’s are so much safer for everyone including our environment and all creatures great and small-per the extreme number of independent scientific studies done. The entire food and beverage industries needs to comply, also and use Non-GM sugar, corn, soy, wheat and flour of any kind. The farmer can also save and share the seeds from non-gm foods for future generations without having to pay a big corp. Very nice topic, really appreciate. I have read your all articles its really helpful for health. Thanks so much..